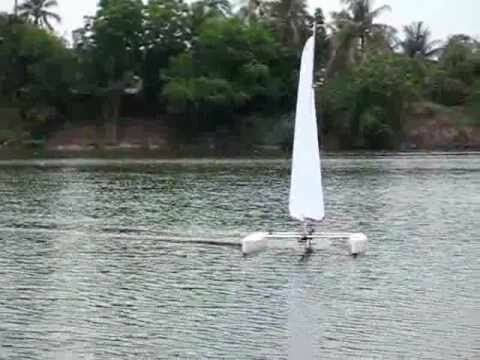 The Venom R is a lightweight racing version of the Venom, a Mini40 catamaran designed by Siri. It uses tube beams and a central fin and rudder like our Adrenaline. The beams can be extended to maximum beam of 1220mm or shortened to the sailors preferences. It is delivered without the beams but with the drawings to build them.